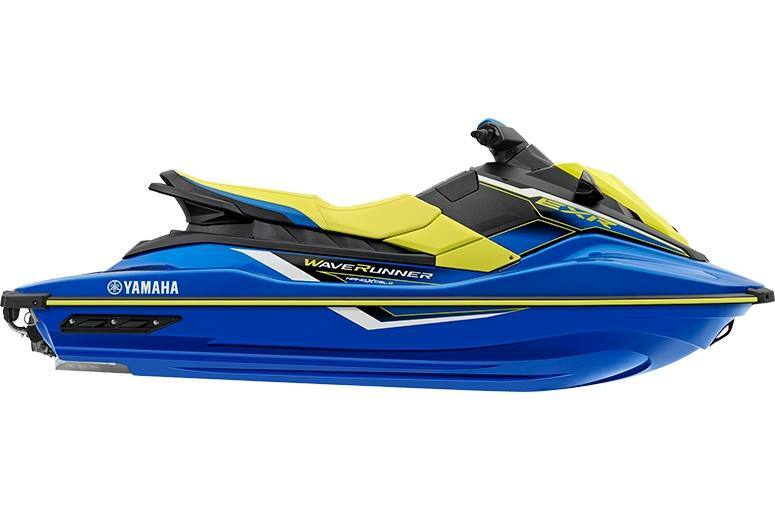 For 2019, Yamaha introduced a line of entry level WaveRunners that delivers endless fun on the water. 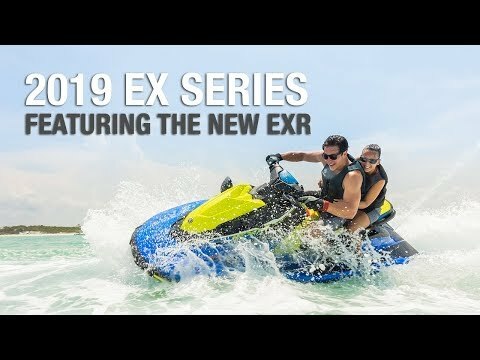 Now you can tear up the water from the very start with the power of the all-new-for-2019 EXR. 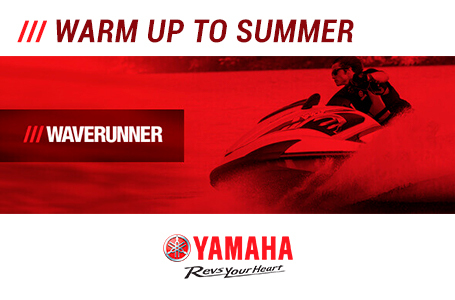 For the first time ever, customers can get the power of a TR-1 HO Yamaha marine engine in the rec-light category. With a lightweight NanoXcel2 hull and deck and riDE technology (the world's first dual handlebar throttle control system is easy and intuitive - Pull the right lever to go forward, and the left lever for reverse) the EXR is pure fun on the water!!! 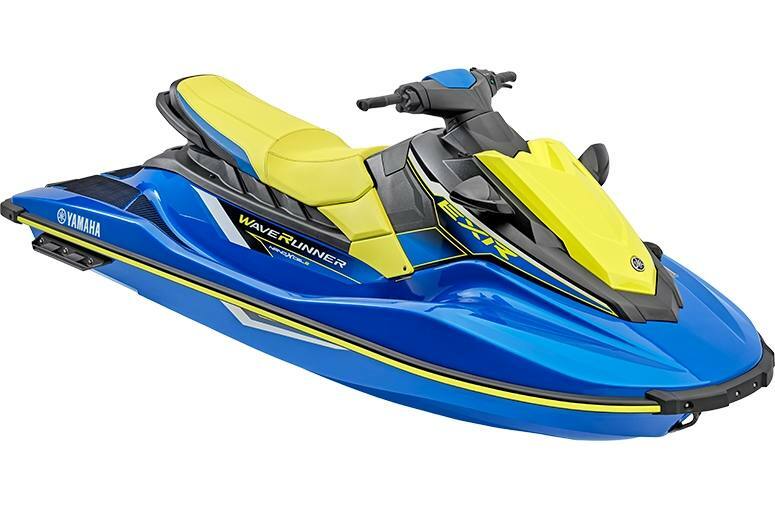 Welcome to Generation EX® - the line of entry-level WaveRunners that delivers endless fun on the water. 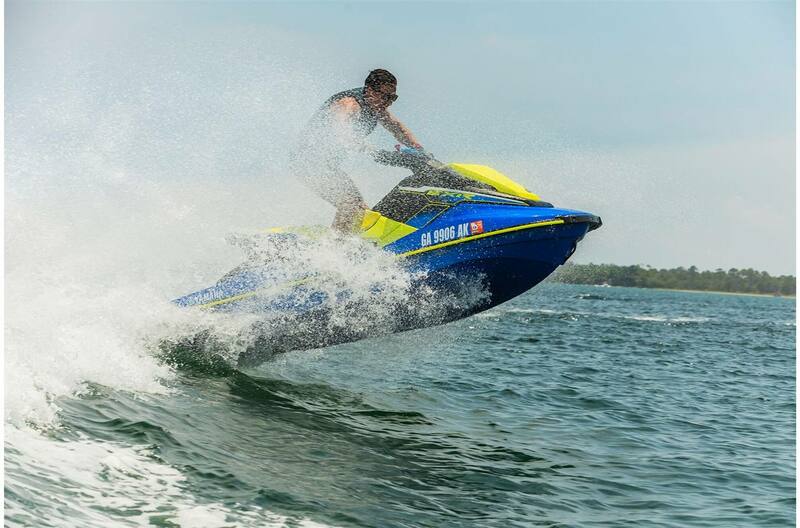 Now you can tear up the water from the very start with the power of the all-new-for-2019 EXR. 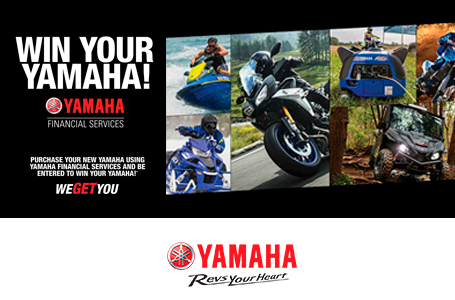 For the first time ever, customers can get the power of a TR-1 HO Yamaha marine engine in the rec-light category. With a lightweight NanoXCel2 hull and deck and RiDE, the world's first dual throttle handlebar control, the EXR is pure fun on the water. 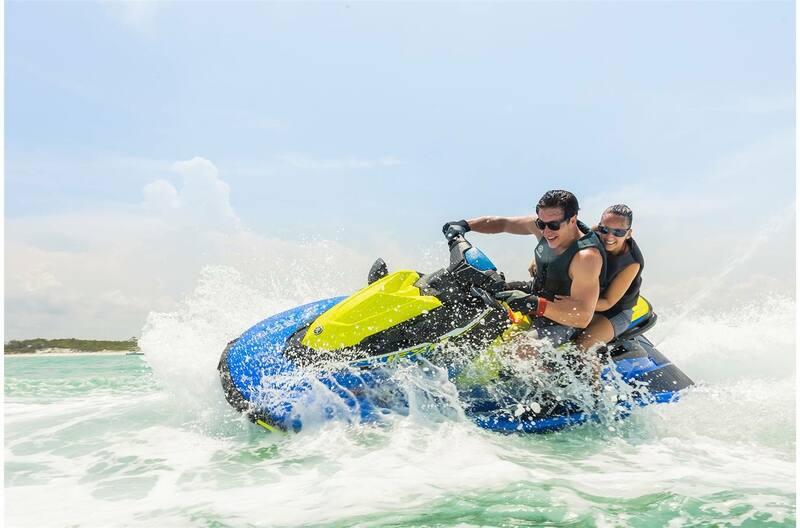 Even if it's your first time, you can still experience the rush of riding a WaveRunner. Ride Technology: The world's first dual handlebar throttle control system is easy and intuitive. Pull the right lever to go forward, and the left lever for reverse. Pull them both, or in any combination, and the system reacts with precise control. Benefits include better handling, smooth deceleration and more control while turning. NanoXCel 2: The NanoXCel 2 hull and deck provides an impressive power-to-weight ratio for quicker acceleration, livelier handling and better fuel efficiency. TR-1 Engine: This award-winning, lightweight 3-cylinder engine brings a fun ride with maximum fuel economy. TR-1 four-stroke marine engine.The EX Series is powered by Yamaha's award-winning TR-1 three-cylinder marine engine that is 40 percent smaller in size, 20 percent lighter in weight and provides better fuel economy than Yamaha's previous four-cylinder Yamaha MR-1 engine. The EXR comes with a modified engine control unit (ECU that increases horsepower by 10 percent compared to the rest of the EX line. Extended Jet Pump: Increases acceleration response. Pumps are Manufactured with YDC30:A combination of zinc and copper alloys, developed by Yamaha marine engineers, that offers excellent corrosion protection. The EX hull is designed to be light and strong. Under the waterline is an all-new hull design that is manufactured to precise tolerances. 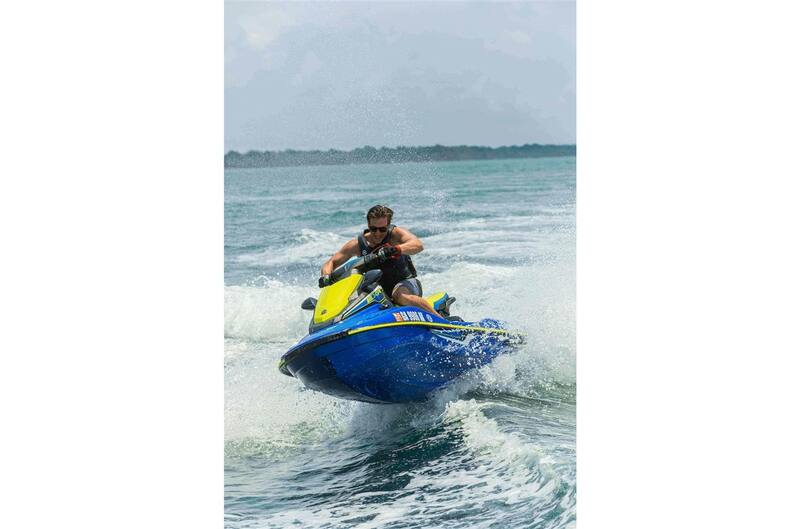 The EXR's ultra-lightweight Yamaha NanoXcel2 hull significantly increases this model's power-to-weight ratio, delivering excellent stability for two- or three-up riding and towing, and precise responsiveness and thrilling throttle response for one-up riding. Electronic Information Center:Provides the operator a quick read on speed, RPM, fuel level, hour meter and volt meter.